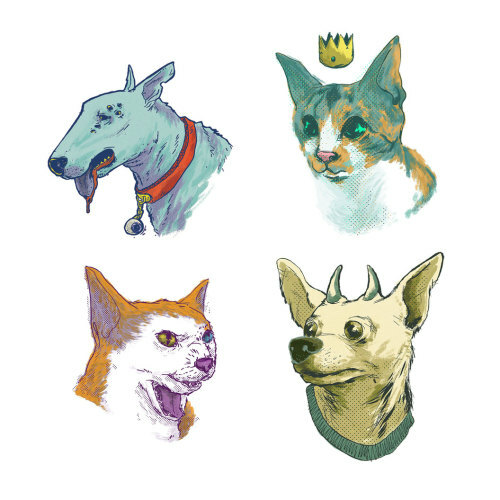 Next weekend, at MoCCA Arts Fest in NYC, you’ll be able to pick up a bunch of mutant pet baby stickers, including my very own Pongdog (as a lil’ devil)! Unfortunately, Pongdog himself won’t be at the festival, but now you can take something like him home with you. See ya next week!